KM 125/130 R LPG 1280150202 https://www.kaercher.com/tn/professional/sweepers-and-vacuum-sweepers/vacuum-sweepers-ride-on/km-125-130-r-lpg-1280150202.html This ride-on sweeper allows dust-free work even in closed spaces thanks to the Tact filter cleaning and gas-operated drive. Optionally available with sweeping crescent side brush. 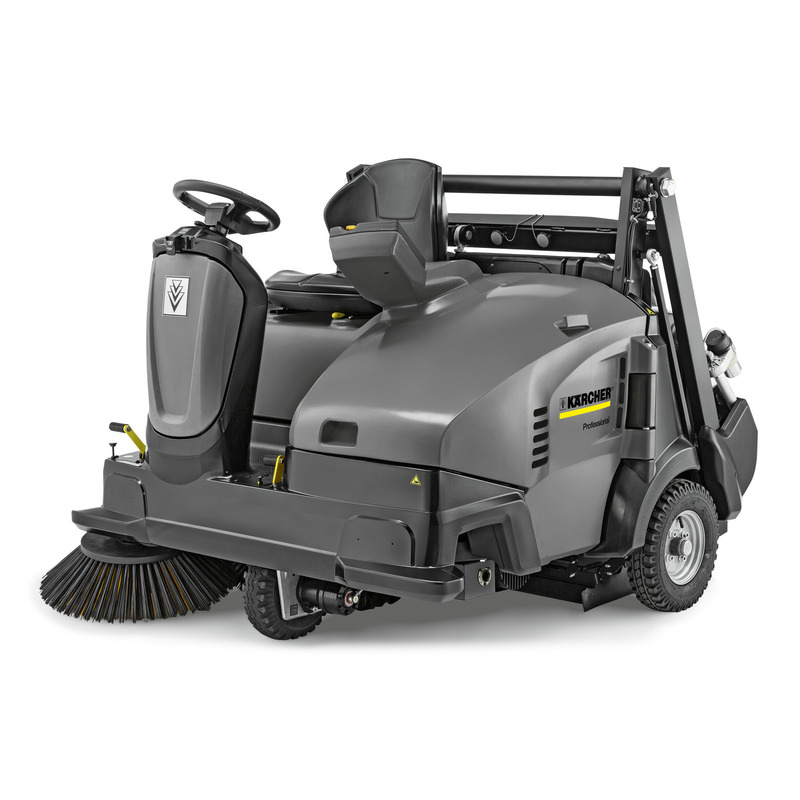 This ride-on sweeper allows dust-free work even in closed spaces thanks to the Tact filter cleaning and gas-operated drive. Optionally available with sweeping crescent side brush. Work without dust, drive without petrol. The individually configurable KM 125/130 R Lpg ride-on sweeper with electrohydraulic high container emptying allows dust-free work even in closed spaces thanks to Tact filter cleaning and gas-operated drive. Its innovative sweeping concept reduces the number of passes required to sweep corners by well over half. If you choose the optional sweeping crescent side brush, a single pass is enough to sweep corners, making manual sweeping of corners redundant. Since the main sweeper rollers are located between the rear wheels, the machine can easily be driven over higher steps. At the push of a button, three contact pressures can be set to accommodate different levels of dirt and types of surfaces. The Teach system monitors wear and tear of the roller and automatically adapts the roller to the height if necessary, guaranteeing the best sweeping results in any situation. The patented Kärcher Key System allows you to set different permission levels for different users, while all relevant data such as roller brush wear or the selected contact pressures can be easily read off the multifunctional display.